Women in business in the St. Louis area are providing the finest in products and services. From business services to home health care, from ad specialties to CPA’s and from website designers to yoga for children. 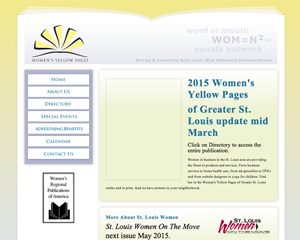 Find her in the Women’s Yellow Pages of Greater St. Louis online and in print.